Heard of High Definition (HD) and tattooed brows but wonder what the difference is between the two? Then this guide is for you! 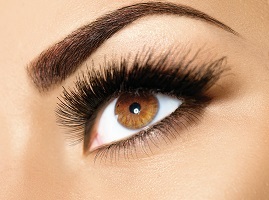 HD brows are all about creating shape and definition using a combination of temporary waxing, threading, tinting and cosmetic filling techniques. If your brows are naturally thin or have been over-plucked, the HD treatment is the ideal way to get the very best brow style for your face shape, colouring and personality. 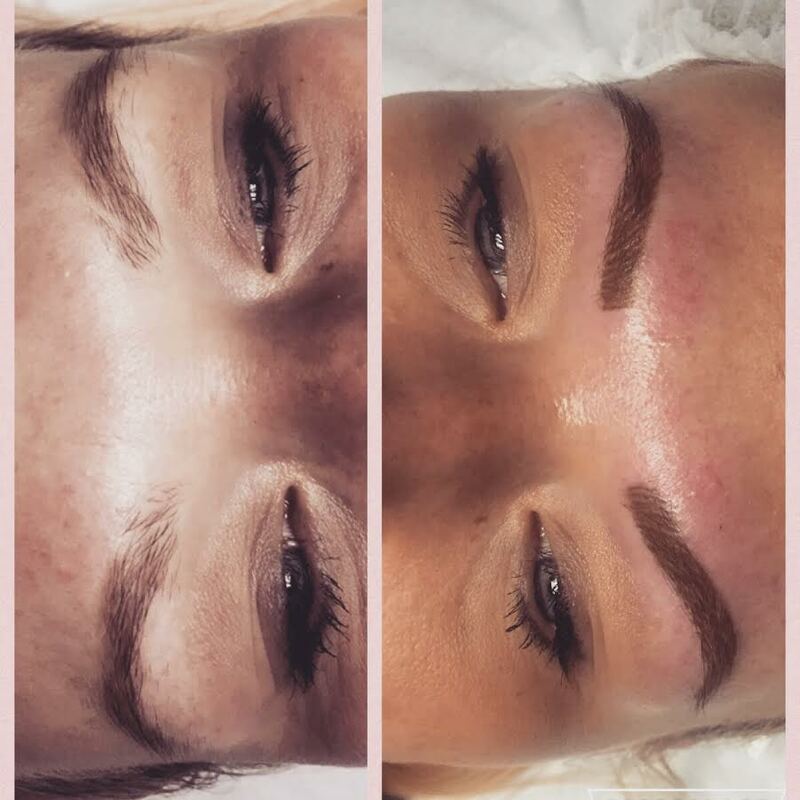 Unlike tattooed brows which are permanent, there’s no lasting commitment to the HD option. But, if you’re thinking of taking the plunge and getting them, HD brows are a great way to test and get used to a different brow shape before you commit. Exposure to swimming pool chlorine, sweat and the sun or excessive cleansing will all shorten the lifespan of your HD brows but if you take care of them, the tint should last 4-6 weeks. Between HD touch ups, it’s advisable to avoid tweezing so that natural growth can be restored and the shape achieved can be maintained. However, while the tinted brow shape will remain, you will need to touch-up your make-up to show your brows at their very best and if you need some tips on how to do that, we can talk you through application techniques and the best products for you. 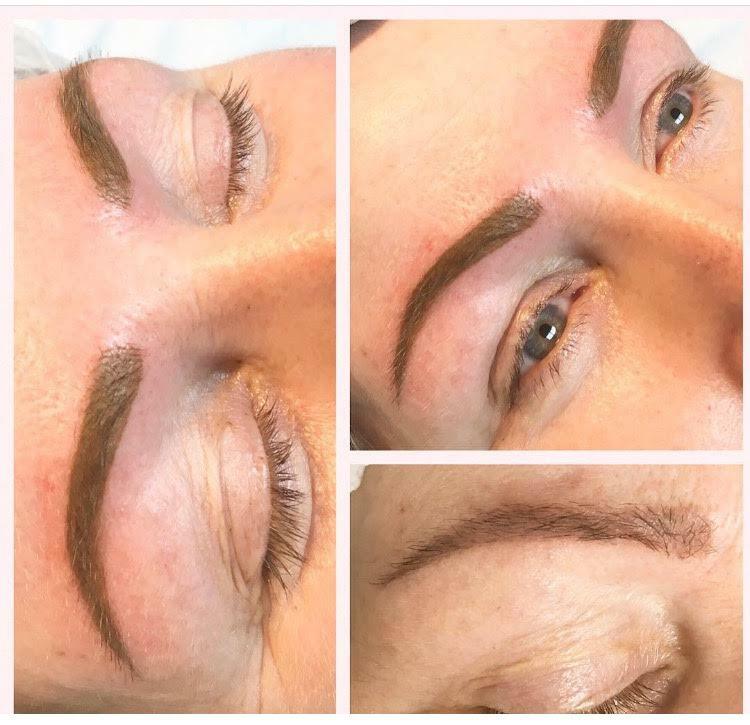 Much like the HD option, tattooed brows are all about creating defined brows that enhance and flatter your individual face shape and colouring but the application process is much different. Also described as micropigmentation, this treatment involves the injection of pigment into the skin using a micro needle to create natural looking hairs, stroke by stroke. Unlike the HD option, tattooed brows are designed to last a long time and, depending on your lifestyle, can look fabulous for 1-5 years. Having amazing eyebrows shouldn’t mean compromising on your lifestyle so if you intend to keep up your regular trips to the gym or pool (or start them!) and continue enjoying lazy days on the beach, you can realistically expect your brows to gradually lighten and fade and require a touch-up in around 12-18 months. The application, lifetime and price of these treatments vary significantly and the HD or tattoo option you choose ultimately depends on your personal preference, your budget and how lush your natural brows are. HD brows can build on existing brow hairs to add thickness, shaping and definition but if your natural brows are too sparse, the results won’t last and a tattoo treatment may be the best option for you. We understand that it can be a difficult choice to make and that’s why we offer a free consultation service. Call now on 07786 925572 to arrange an appointment with Faye and discuss your options. The idea of putting cosmetic needles anywhere near your face might, at first, seem like a daunting prospect, but these types of procedure which see lasting pigment injected into the eye line, eyebrow or lips to replicate the appearance of beautifully applied make-up, are becoming increasingly popular. Sensitive or allergic skin that reacts negatively to regular cosmetics, either by becoming dry, itchy or sore, or by causing flare-ups of conditions like eczema means that many women miss opportunities to enjoy the confidence boosting perks of make-up that help them look and feel their best. Cosmetics, while part of daily life for most women aren’t always a practical addition to busy, active lifestyles and they’re often incompatible with refreshing swims or invigorating workouts that make you sweat. With permanent make-up, you can go anywhere and do anything knowing that your cosmetics won’t fade, run or need touch-ups. Precise cosmetic application requires three things: quality products, steady hands and a little creative flair. Getting it right takes a lot of practice and sometimes, no matter how hard you try to master things like winged eyeliner, a lack of skill can knock your confidence instead of boosting it. With a professionally tattooed application, your eyeliner will be on point every time. Lifelong or developed physical impairments can make cosmetic applications particularly challenging and stressful, but taking the time to look your best shouldn’t be a negative experience and with permanent make-up, it won’t be. We lead increasingly busy lives and finding the time to apply or refresh make-up throughout the day can eat into our valuable time. By taking a new approach to your daily cosmetics regime, you can free up time to do other, more fulfilling things. As well as saving the time otherwise spent on applying and shopping around for cosmetics, you could potentially save money too. British women spend on average £1700 to £2300 per year on beauty products, but permanent eyeliner, for example, while more expensive than an individual product, will last 1-5 years depending on your lifestyle. Like any sort of cosmetic, permanent make-up should be applied according to your individual needs, so if you need a light touch to enhance the lip line or fill out patchy growth in eyebrows, a totally natural look can be achieved. Getting permanent make-up does not mean that you’re restricted to one look for as long as the pigments last! It can be worn alone or relied upon as a base for more dramatic looks so you can easily change your style to suit your mood or the occasion. It’s very difficult for anyone to assess their own appearance objectively and decide which kind of cosmetic style flatters their natural colouring and shaping best. With any Faye McCann treatment, you will be offered a consultation to find the right look for your personality and lifestyle. 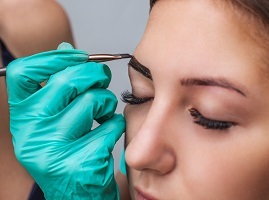 The increasing popularity of permanent make-up means that the number of salons offering these types of treatment have flourished, but it also means that clients can be at risk of undergoing lasting cosmetic applications with personnel who perhaps lack the necessary skills and experience. When you choose Faye McCann for your treatments, you can relax in the knowledge that you are in safe hands. Trained by celebrity stylist, Tracie Giles, Faye is highly qualified, experienced and most of all dedicated to giving each client the very best service. 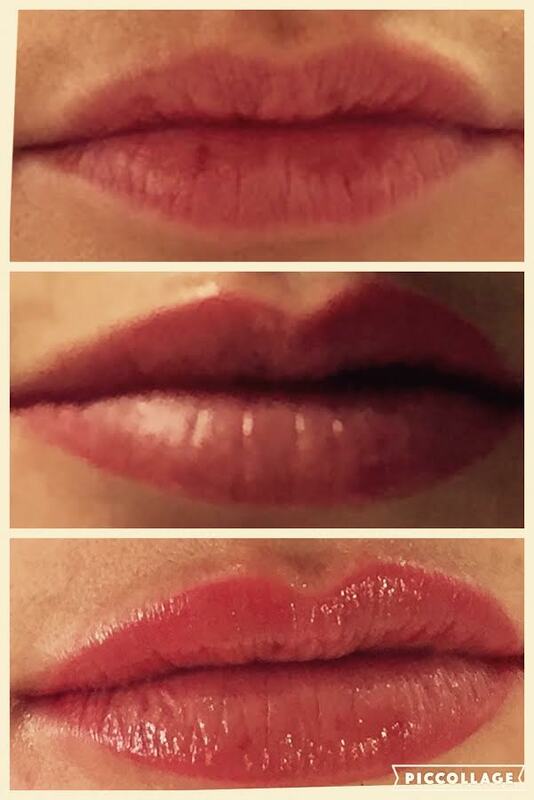 To find out more about permanent make-up, simply get in touch! Micropigmentation and microblading are two of the most popular contemporary cosmetic techniques that help ladies (and men!) to achieve a balanced brow that flatters their natural shape, colouring and personality. Micropigmentation is the injection of a coloured pigment, especially developed for cosmetic purposes into the dermal layer of the skin. This is managed with a hand-held machine fitted with a micro needle that operates much like a tattoo gun to achieve a realistic, hair stroke finish that can last for 1-5 years. Microblading is the application of individual brow hairs, drawn on by hand using a special pen that’s equipped with a super-fine blade made up of 6-14 micro needles. This technique implants pigment beneath the skin, though not as deeply as micropigmentation, for natural looking results that last around 1-3 years. Firstly, both treatments require the expertise and artistry of a skilled technician who can create the right look for you because although the results will fade in time, they may never fade completely and should be considered permanent. If they’re poorly applied to begin with, the effect can be disastrous and very costly and painful to correct. For that reason, it’s wise for anyone considering either of these treatments to give them careful thought before making the commitment to have them done. 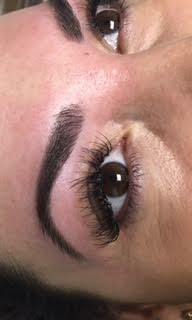 If you don’t currently invest time at home or in a salon getting your brows properly shaped or defined then it’s advisable to try alternative, non-permanent brow techniques like HD brows first to experiment and find the right look for you. There are many reasons why people opt for permanent eyebrow treatments but whatever your motivation, whether it be cosmetic enhancement or a more convenient lifestyle, both of these options are ideal for anyone with patchy, uneven or absent hair growth. If you need advice on which one is right for you, simply contact us to arrange a free consultation and we’ll talk you through your options in detail. If you book in for either the micropigmentation or microblading treatment, you’ll need a patch test at least 48 hours before your appointment and should allow around 2 hours for the procedure to be completed. Neither option is particularly painful, especially if you’re already used to waxing, plucking or other cosmetic procedures, however it can be uncomfortable so a topical numbing cream will be applied to help you feel at ease while the treatment is carried out. Once complete there will be some temporary redness but that should fade within a couple of hours and your new brows are good to go! However, some basic maintenance can help the skin to recover and prolong the effect.